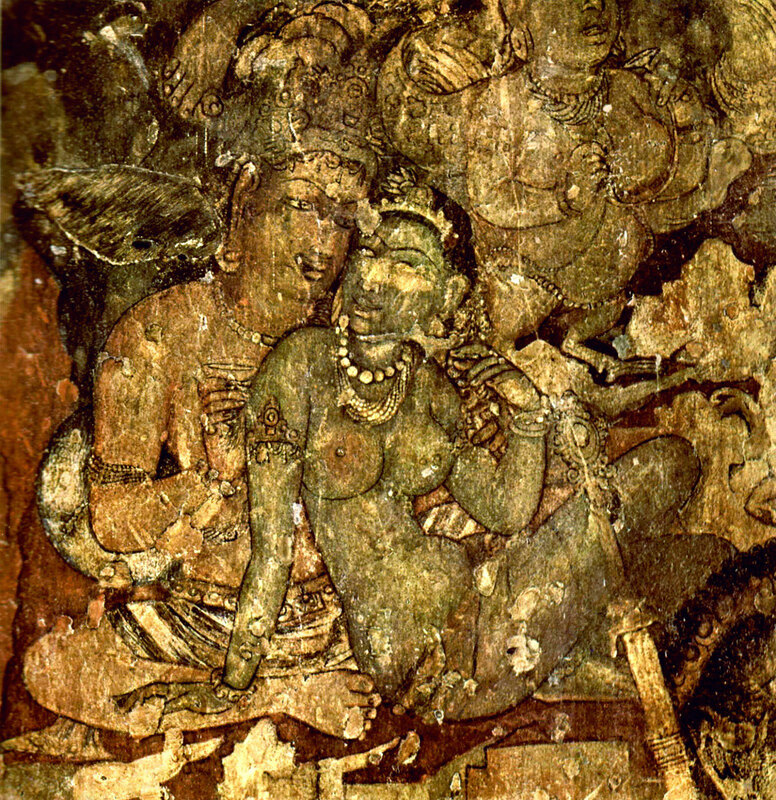 About the secrets of Ajanta cave and paintings. It is difficult to define the reason of cave painting and wonder, why primitive men started painting on the wall of the caves. Indeed it is astounding when we found some wonderful masterpieces in the cave created by some uncivilized primitive human; however, unmistakably feeling of imaginativeness in the human soul is everlasting. Along these lines, it is the basic idea of a human to express the feelings by utilizing such way. 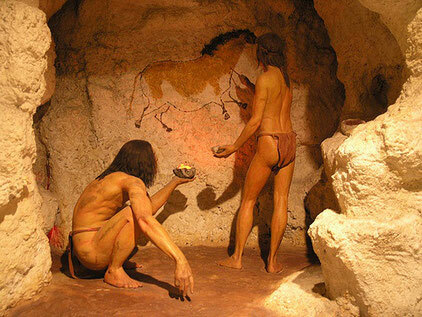 primitive cave men immerse in painting. In India, there are a lot of cave paintings respectively discovered by the historians. Some of those are in the pre-historical era; however, we acknowledged the Jogimara cave painting as a first cave painting in historic era. It is located at the Ramgarh mountain of Madhya Pradesh. Those cave paintings are in a category of Fresco buono, but, those are not a remarkable work like Ajanta and Ellora. Here I am about to discuss the cave painting of Ajanta which is the icon of Indian art. Before entering the discussion, we have to know the location of Ajanta and have to dig a bit the past history of this cave. Ajanta cave is located in the Aurangabad district of the state of Maharashtra, India. 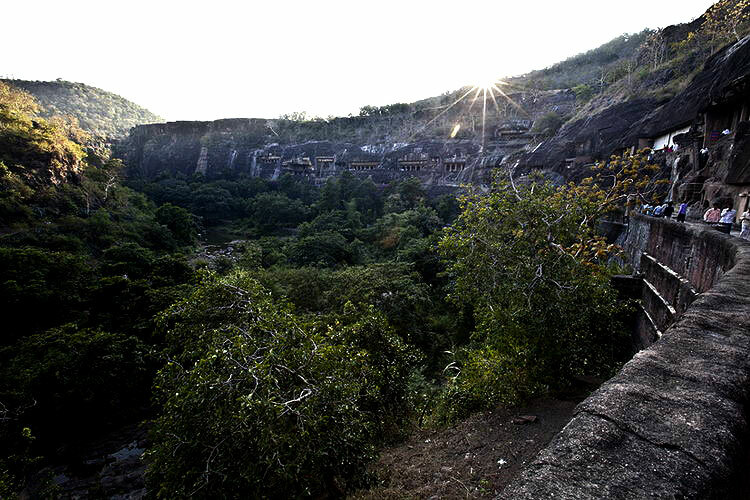 There are 29 rock cut Buddhist caves. To visit those caves, you have to start from Aurangabad-Ajanta-Jalgaon road. It will take you to the place named Fardapur, a little but amazing Township area where you will find those caves. There is also a mind-blowing waterfall born from the floating river named “Tapti”. Actually, the place is the valley of the river Tapti. The place has a pleasant obsession and by visiting the place; you will immediately realize why the Buddhist mendicants picked this place for their worship. Here I would like to disclose a good research of Dr. D.Kosambi(Historian) who stated that all the cave paintings including Ajanta directed by following the several main high roads which passed through the hilly area and valleys. It is because to collect the intercontinental taxes for several commodities from traders concurrently, arrange temporary shelter for wayfarer as well as to introduce the philosophy of Lord Buddha. The Ajanta cave painting is discovered less than 200 years ago. Actually, it is discovered on 1829. Before that, we merely found a little statement about the Ajanta cave from one of the traveler mendicants named Hyun Sung who visited this place in the year 640 and that’s all. In 1803, respectively, the battalions of the last emperor of Mughal kingdom named Aurangzeb and the battalions of Lord Wellesley took their temporary shelter into those caves and damaged the place by cooking and by the clamorous amusement in intoxicating mood. In 1829, the Royal Asiatic Society published an article in their magazine about the Ajanta cave painting but no one has shown interest in that discovery. Pursuing the article, historian Dr. James Ferguson first visited that place in 1839 and wrote a book published in 1844. He requested to East Indian Company to grant a budget to reproduce all the cave paintings by employing some selected artists. The first and only one artist who reproduced all the cave paintings of Ajanta by giving his full efforts of 20 years (1844-1863), was Major Gill. Granting the thankfulness to Mr. Gill, here is a regrettable matter I found that after submitting the 30 large size rolling canvas to East India Company, all were transferred to London to exhibit such great discovery. In that exhibition, A massive conflagration destroyed all the greatest efforts of Mr. Gill. Only remained 5 canvases to prove the documentation of Ajanta. In the meantime, public curiosity had been damaging the frescos of Ajanta, however, in 1879, when a photographer named Burges went to frame out all the paintings of that cave in his camera, he found only 16 caves with paintings, in good condition. Fortunately, by the kind exertions of Dr. Griffiths, the principal of Bombay school of art; Govt. of India ordered to reproduce all the paintings of that cave again and Mr. Griffiths committed his heartiest cooperation with his selected students and completed the reproduction of all the paintings of Ajanta. The period of his completion was 1872 to 1885. Adopting the replication of Dr. Griffiths, the Govt. of India published a fantastic album from London in two parts in 1896, . The article is subject to copyright act.